Does Weather Determine If You Play Disc Golf? Disc golf is a sport that can be played in a variety of weather condition. Courses are rarely closed and baskets seem to remain in the ground year-round. As part of the State of Disc Golf survey, we decided to ask how willing a person is to play disc golf under several severe weather conditions. 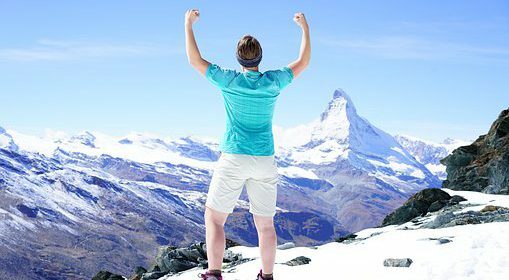 The conditions listed were; extreme heat, rain, snow, extreme cold and heavy winds. For each weather condition many options were available to choose including; Never, Pre-Registered for a Tournament and Very Likely. We focused on these three with other options such as somewhat likely and doesn’t apply not shown. Right of the bat you can see that extreme heat is not a big problem for golfers. Over 2000 people responded they were very likely to play disc golf. Extreme cold conditions on the other hand, cause almost 1000 golfers to never play. If you play in a lot of tournaments, it appears rain is the most unfavorable condition to play in. 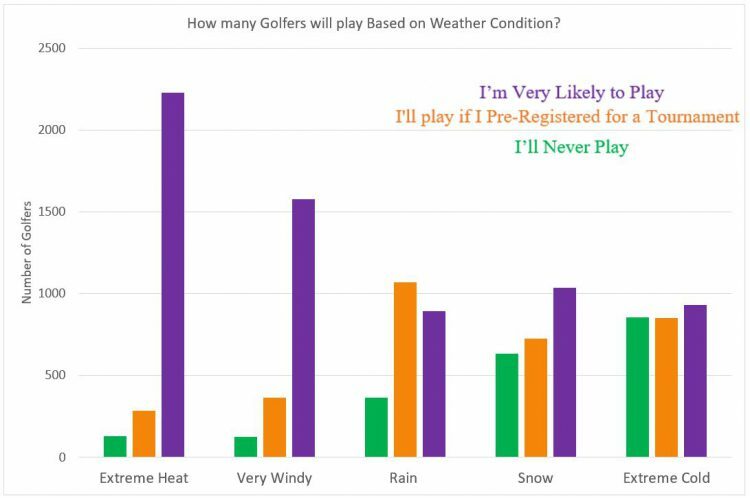 Of the roughly 6000 golfers surveyed, 18 percent will play in rainy conditions only if they have pre-registered for a tournament. Though every golfer chose what state they live in, we did not look at individual states and what weather conditions they are willing to play in. Also of note, it appears the colder it is, the less likely disc golfers are to get out and play. With possible grip issues, frozen tee pads and other factors this is understandable. However, the surveys showed the majority of golfers will play in any weather conditions. Sometimes you just gotta go throw no matter what mother nature throws your way! 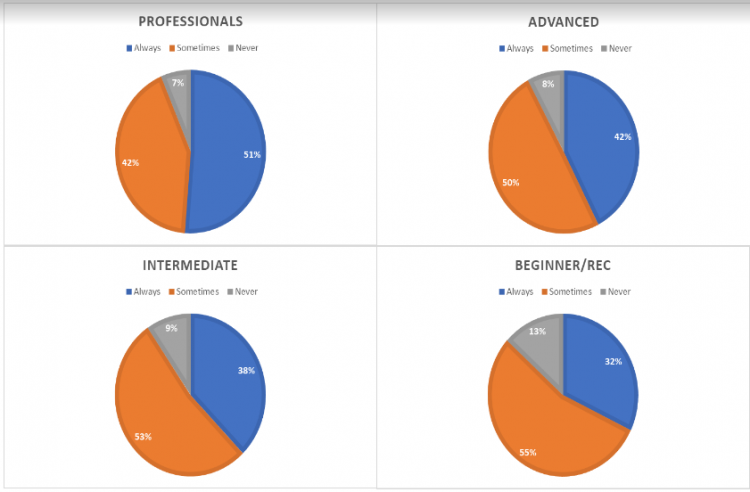 As we take a look at the results of the 2018 State of Disc Golf Survey, it is fun to measure the growth of the sport by finding out when people discovered disc golf as apposed to when they started playing disc golf. We also asked survey participants how much they are willing to pay for “pay-to-play” courses which are usually on private property. Some interesting trends have surfaced. First let’s take a look at when people first heard about disc golf vs. when they started playing. It is very interesting to see that a large percentage of people discovered disc golf more than seven years ago. 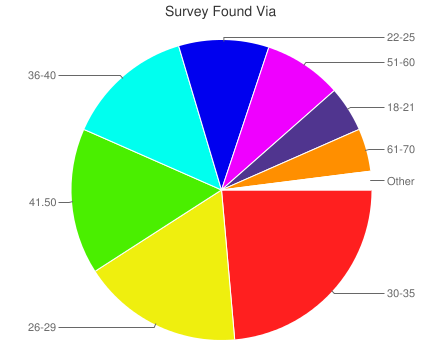 If we create a dividing line at the year 2010, we find that 64% of those taking the survey heard about disc golf before (and including) 2010, while 36% first heard about disc golf after 2010. 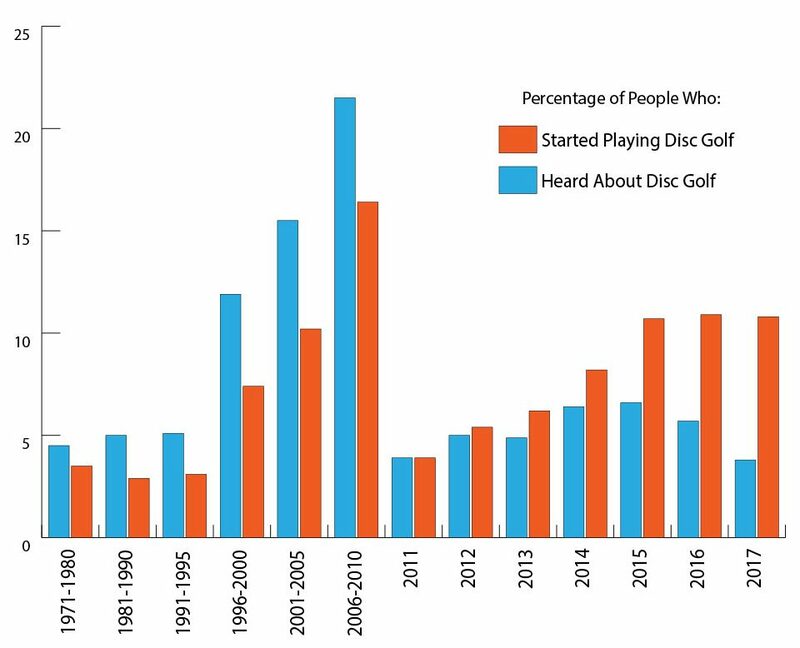 This seems to demonstrate that disc golf has been in the public eye for quite a while, with the majority of current players having heard about it several years ago. In more recent years, a steady stream of people are still discovering disc golf, but even more interesting is that the number of people starting to PLAY disc golf is growing more rapidly in recent years. 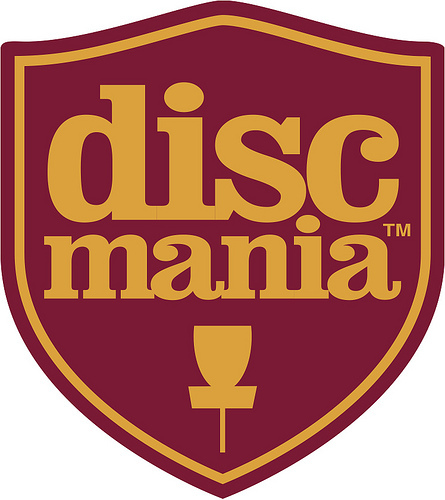 Perhaps people who hear about disc golf or become aware of the sport are slow to try it out? Though they may have become aware of the sport several years ago, they are just now starting to play? Of course, there are current players who both discover and dive in at the same moment, but there is an interesting disparity between people DISCOVERING disc golf and BEGINNING TO PLAY disc golf. HOW MUCH WILL YOU PAY TO PLAY? 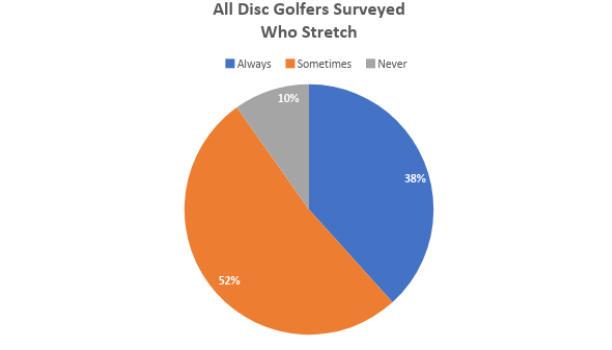 Another interesting trend when comparing the data from the 2018 State of Disc Golf survey to the data from the previous year is the attitude about “pay-to-play” courses. 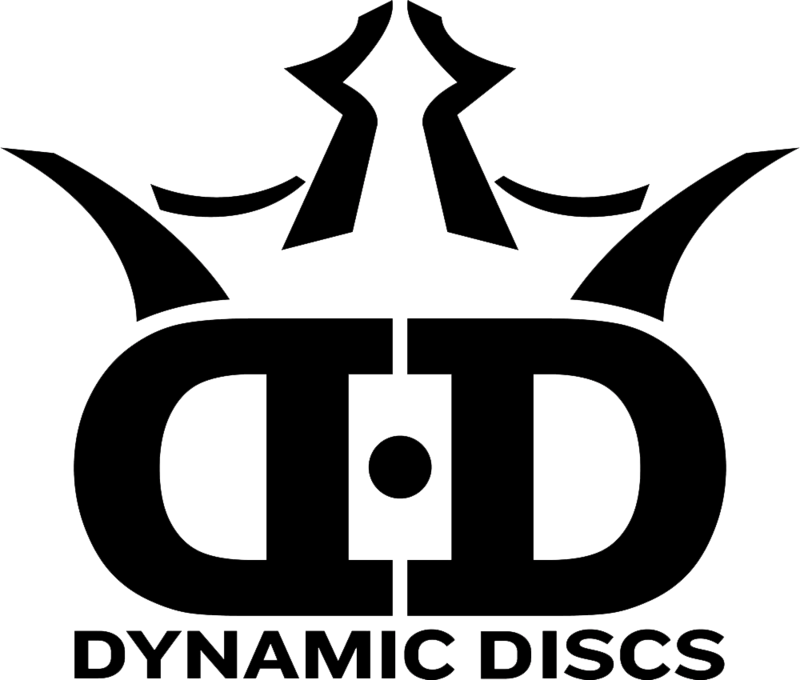 Many disc golfers embraced the sport because courses have traditionally been free to play. The vast majority of public courses are still free, but there are a growing number of privately owned courses that are charging a fee for a round of disc golf. 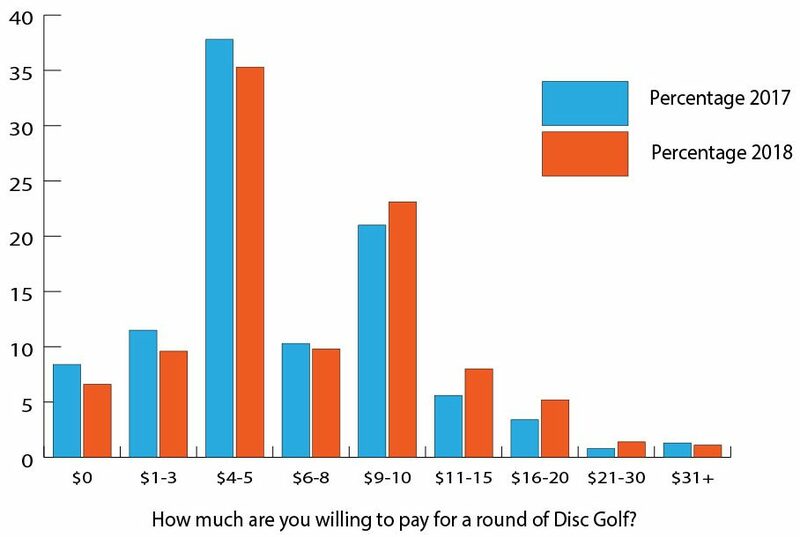 Here is a look at how much survey participants were willing to pay for a round of disc golf in 2018 vs. the previous survey year. Look at the lower end of the price spectrum. You’ll see that more people were willing to pay a lower price a year ago. Why would fewer people be willing to pay a lower price this year? Even more interesting is that this year’s survey found more players willing to pay higher prices in the $9 – $30 range! So, while they are less willing to pay a low price, they’re more willing to pay a high one. It looks like the “premium price” side of the market is growing, with more players willing to pay to play a course that they feel is truly special. With more players coming into the disc golf scene every year, and more people willing to pay to play, it will be interesting to see how the disc golf market and course development evolves over the coming years. There were also several other countries represented with the Scandanavian countries outpacing others. That is a full 50% of survey participants coming from Facebook, with another 34.2% coming from either the Infinite Discs website or email newsletter. 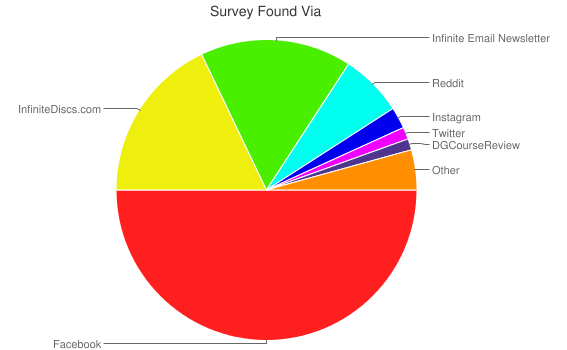 Other contributing sources were social media sites like Reddit, Instagram, Twitter, DGCourseReview.com, Instagram, as well as from notifications from the PDGA. 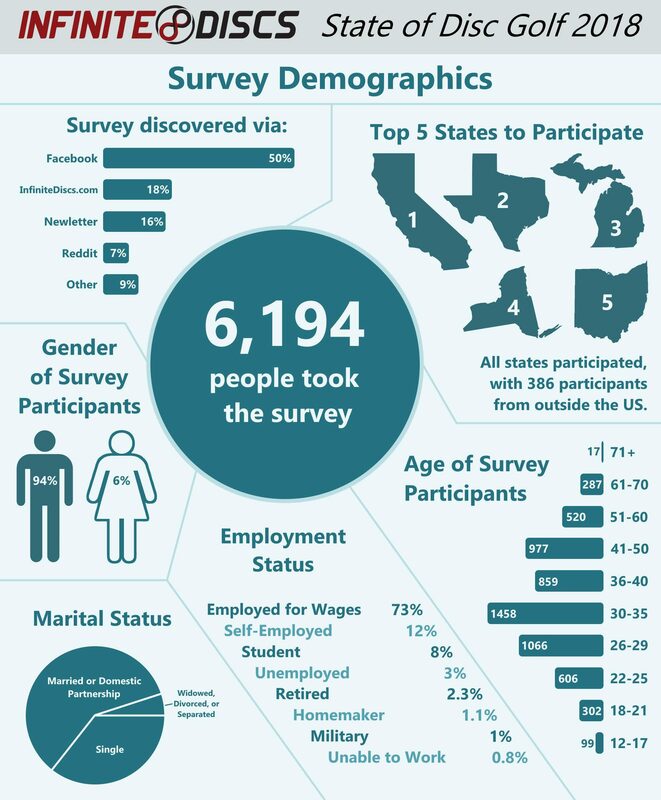 Other interesting demographics from the survey are the male vs. female participation, the age of participants, marital status, and employment status. The biggest gap was between males, making up 94% of participants, while the females made up only 6% of those who took the survey. The majority of survey participants are also married or in a domestic partnership at 59.4% with 35.6% being single and 5% answering as widowed, divorced, or separated. We’re excited to see a wide age spread participating in the survey and in the sport of disc golf. We’re also happy to see that disc golf is becoming a popular activity even among those over fifty with survey participants reaching well into their sixties, seventies and a few in their eighties. We’re hoping to see more growth among a younger, teenage crowd, bringing up the next generation of exciting professional and recreational players.